A massive fireplace creates a cozy retreat. Welcome to the most unique Bed and Breakfast Louisville Kentucky has to offer! 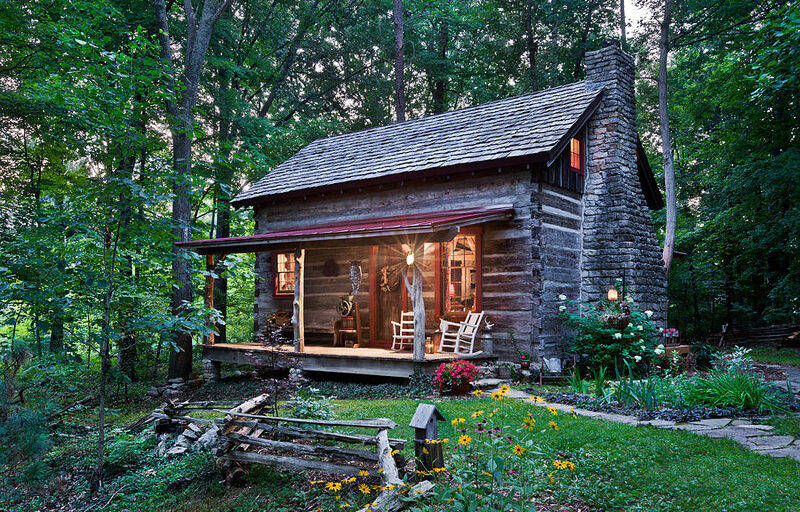 At Captain’s Cabin Bed & Breakfast you will enjoy a historical 1800’s log cabin with all the modern conveniences of home. Come for a retreat, vacation or business meeting. Leave refreshed and at peace. 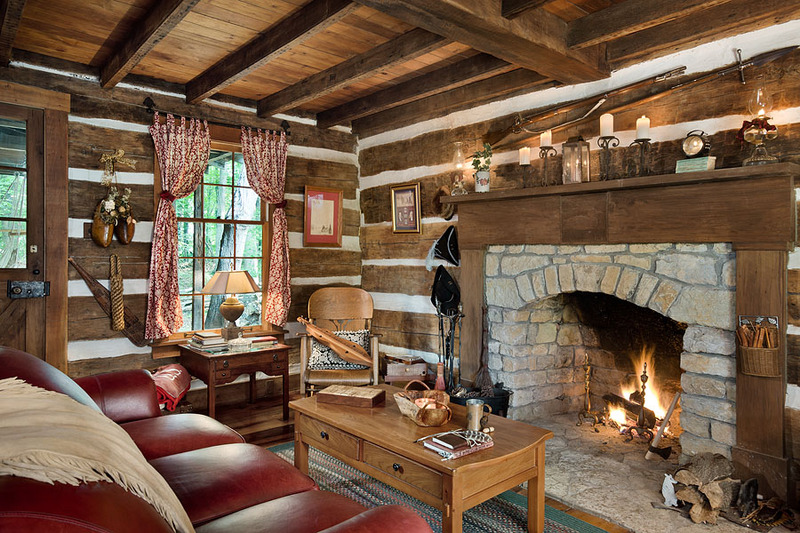 Whether you take a quietThese walk through the woods, wade in the creek, canoe on the lake or enjoy an evening around the fireplace, Captain’s Cabin provides a relaxing experience. The adjacent park boasts an 18 hole golf course, championship disc golf course and hiking trails. Healthy and delicious breakfasts are served on the porch or in the full kitchen. Wild Mushroom Frittata, Triple Crown Bran Muffins, Cranberry Apple Compote, a collection of gourmet teas and coffees await you each morning. You are welcome to join in the fun of rail splitting, maple syrup tapping, beekeeping. You can even talk to Jan, a licensed architect, who specializes in log and timberframe homes and is a distributor for Hearthstone Homes. You are only 17 minutes from downtown Louisville, 35 minutes from bourbon country and two hours from rock climbing and river rafting adventures at Red River Gorge, but you are lifetimes away from ordinary. We look forward to having you as guests at the Captain’s Cabin Bed & Breakfast.